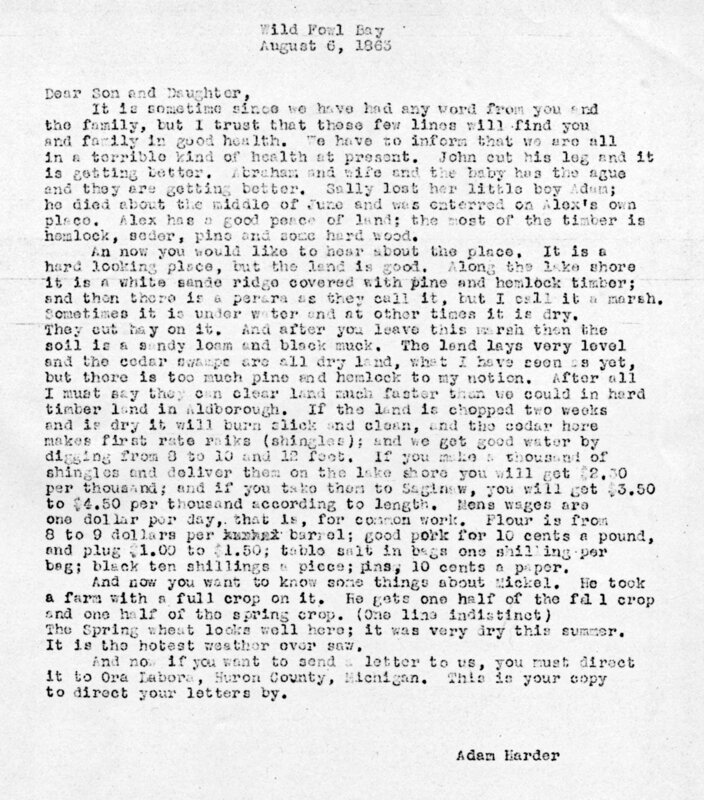 Thanks to Dennis Horton for original copies of the Adam Harder letters. Thanks to Robert and Dianne (Harder) Brenner for Harder family information. 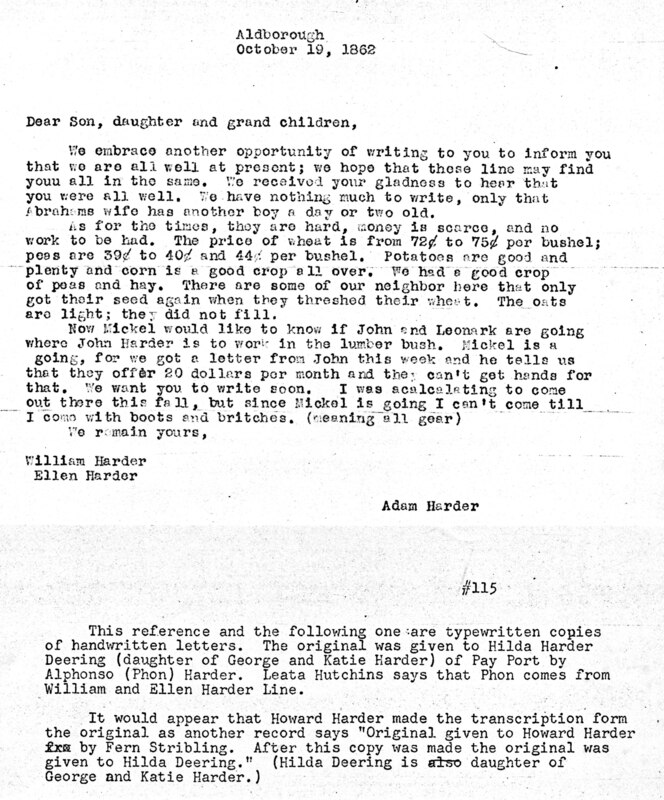 Thanks to Dave and Helen (Hutchins) Damouth for transcriptions of Adam Harder letters.